It won’t be an overstatement to refer to herbs as nature’s very own drugs. Herbal therapies have emerged as an alternative school of medicine, but the health-promoting and disease-fighting potential of herbs is not a recent revelation. The pharmacological use of herbs goes back ages and has garnered a lot of traction and scientific legitimacy over the years. These natural antidotes are generally used as complementary tools for treating a wide array of maladies, from the common cold to cancer. Another interesting facet to a number of such medicinal herbs is that they work as natural substitutes for “smart drugs” or chemical nootropics. Standard nootropics are essentially drugs, supplements, and other substances that enhance cognitive function but often with a string of harmful side effects, such as insomnia, headaches, anxiety, and rapid heart rate. Moreover, these synthetic compounds can be quite addictive and can cause deleterious withdrawal symptoms. Herbal nootropics, by contrast, are generally safer and better tolerated than conventional medications. 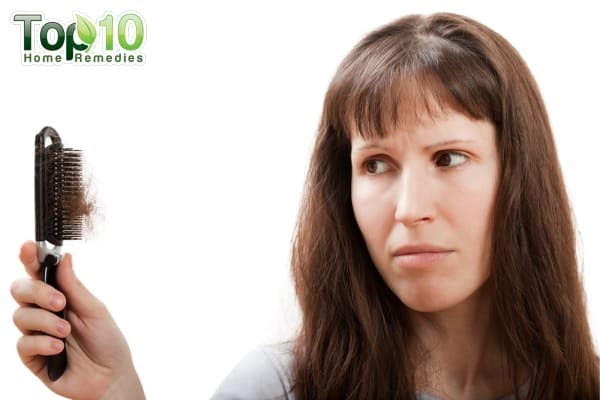 Whether it is mental fatigue, short-term memory loss, low concentration, or poor recall capacity, there are many herbs that can treat and prevent these problems. Herbs can even slow down cognitive decline and can reverse memory loss that often occurs with advancing age. Herbs work to improve cognitive function by stimulating blood flow to the brain, promoting the formation of new brain cells, altering the concentration of neurotransmitters, curbing brain inflammation, and protecting the brain from free-radical damage. 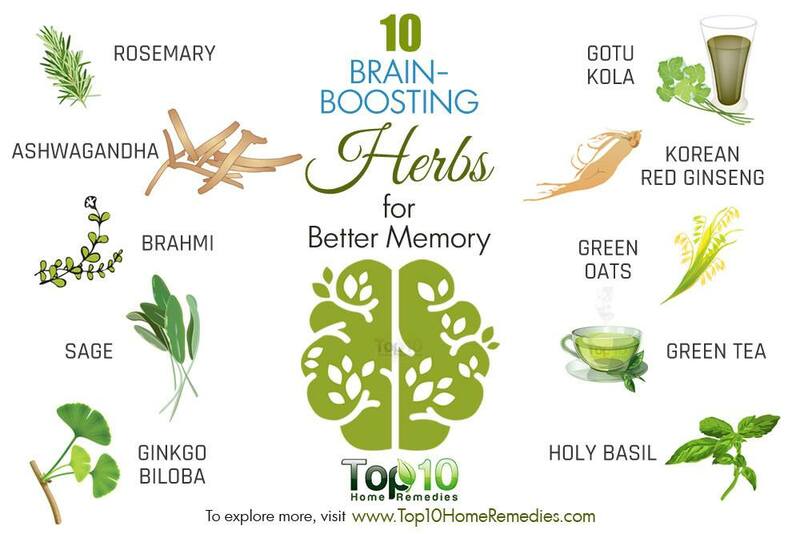 However, it is important to know which herbs offer the greatest benefits for improving your memory. These 10 brain-boosting herbs can improve memory and may even protect you from some neurodegenerative diseases, such as Alzheimer’s or Parkinson’s disease. The sweet-smelling aroma of rosemary is world renowned, making it a sought-after ingredient in multiple culinary traditions. Lesser known is the memory-boosting properties of this fragrant herb, which give you yet another reason to include it in your recipes. Aside from the antioxidants such as rosmarinic acid and carnosic acid in rosemary, its ability to increase the level of acetylcholine is what makes it an effective herb in improving your memory. Acetylcholine is the main transmitter of neural signals. A study published in the International Journal of Neuroscience highlights the memory-boosting properties of rosemary. The study reports that the olfactory properties of its essential oil can produce objective effects on cognitive performance, as well as subjective effects on mood. Another study published in Therapeutic Advances in Psychopharmacology in 2012 reports that the most active chemical in rosemary oil (1, 8-cineole) corresponds to increased cognitive functions. Researchers found that rosemary oil can improve the accuracy of memory, the speed of processing information, and even one’s mood. Moreover, rosemary is effective at increasing brain wave activities and protecting against neurodegenerative conditions such as Alzheimer’s disease. To boost your brain power, put 2 or 3 drops of rosemary oil on your handkerchief and breathe in its aroma. Drinking rosemary tea made from fresh or dried leaves also helps. Note: Pregnant and breastfeeding women are advised against the medicinal use of rosemary as it can compromise the health of both the mother and the baby. People with kidney disorders must also exercise precaution and refrain from consuming this herb in larger than food amounts. 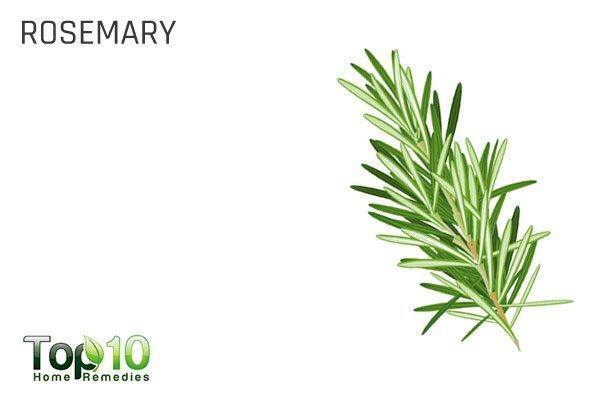 Avoid rosemary if you are using blood thinners, allergic to aspirin, or suffering from seizers. Moreover, you must exercise necessary caution with regard to rosemary use if you have diabetes, high or low blood pressure, thyroid problems, and stomach ulcers or you are planning to undergo surgery in the near future. 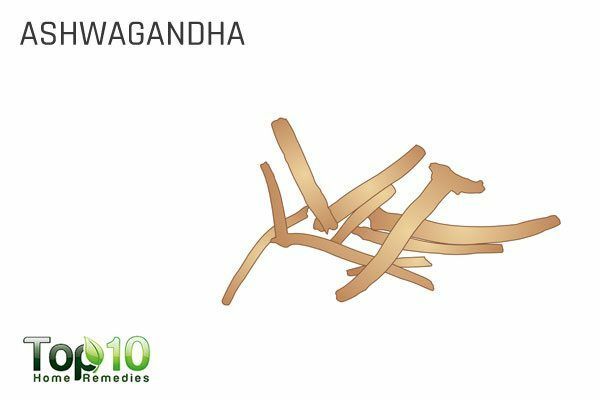 Ashwagandha, also known as Withania somnifera or Indian ginseng, is a rejuvenating herb for your brain. Its neuroprotective activity can be traced back to its rich content of antioxidants. These free-radical scavengers help prevent the deterioration of brain cells caused by oxidative stress, which is primarily responsible for the onset and progression of neurodegenerative ailments such as Alzheimer’s disease. Ashwagandha aids in breaking down the beta-amyloid proteins that form plaque in the brain; this, in turn, has a positive effect on cognitive function. It also promotes neurogenesis, which helps boost brain power, further improve memory, and prevent nerve cell degeneration and nervous exhaustion. In a 2017 study, it was found that after only 8 weeks of treatment with ashwagandha, significant improvements in both immediate and general memory were observed in the study participants. A study published in the British Journal of Pharmacology reports that ashwagandha could regenerate neurites and reconstruct synapses in severely damaged neurons. It was further demonstrated in a 2014 study that ashwagandha can improve both cognitive and psychomotor performances, making it a valuable adjunct in treating diseases associated with cognitive decline. You can take this herb in powdered, dried, or fresh root form, which can be chewed or brewed as a tea. Note: The medicinal consumption of ashwagandha can have potentially dangerous health outcomes for pregnant or breastfeeding women and their babies. It is, therefore, best to stay on the safe side and avoid its use during this vulnerable phase. Brahmi, also known as Bacopa monnieri, is popular in Ayurvedic medicine known for its brain-boosting properties. This herb has been traditionally used in Indian and Chinese medicine for the treatment of several disorders. Brahmi is often used to help with poor memory, concentration, and even depression. It works as a brain tonic and has antioxidant and neuroprotective effects. These neuroprotective effects were demonstrated in a 2016 article featured in Frontiers in Pharmacology. As per clinical evidence, Brahmi was found to exert several beneficial medicinal effects that help against age-related neurodegeneration and cognitive decline. The herb’s memory-boosting capacity justifies its use in the treatment of Alzheimer’s disease and schizophrenia. The same study suggested that Brahmi possesses anti-parkinsonian, antistroke, and anticonvulsant potential. A study showed that Brahmi helped improve word recall memory and even reduced depression and anxiety in healthy individuals aged 65 and older. 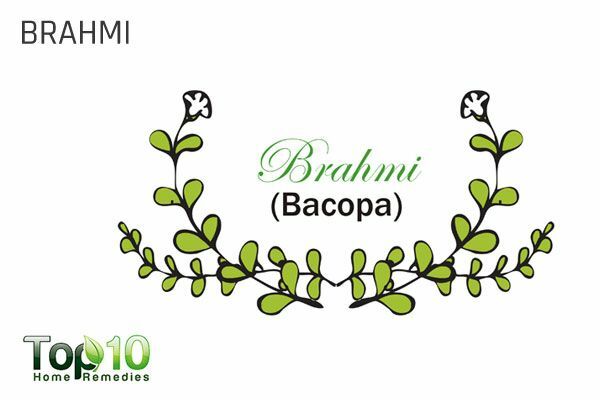 Another study found that by suppressing AChE activity, Brahmi can improve attention, cognitive processing, and working memory. Consume 1 teaspoon of juice extracted from Brahmi leaves two or three times a day. You can also take this herb as a supplement, but only after consulting your doctor about its suitability and correct dosage for your particular case. Note: It is essential for pregnant and nursing women to confer with their doctor about the safety and adequacy of using Brahmi in their state. The same precaution applies to people suffering from bradycardia, gastrointestinal tract blockage, ulcers, lung conditions, thyroid disorders, or uterine obstructions. Another herb recommended by herbalists for improving memory and increasing mental sharpness is ginkgo, scientifically known as Gingko Biloba. Ginkgo contains active phytochemicals that help improve memory. It can also prevent the formation of beta-amyloid proteins, which are known to cause Alzheimer’s disease. One study published in Psychopharmacology highlights the memory-enhancing effects of ginkgo on various aspects of cognitive function in healthy middle-aged volunteers. The study reflected improvements to a number of different aspects of memory, including working and long-term memory. A later study in 2014 further showed that ginkgo extracts can improve working memory in middle-aged individuals. Like ashwagandha, ginkgo possesses both antioxidative and anti-inflammatory properties, as evidenced by its protective action against trimethyltin-induced hippocampal neuronal loss. Perhaps this explains why ginkgo extract has been used in the treatment of age-related memory deficit problems, including Alzheimer’s disease and other forms of dementia. Note: Pregnant and breastfeeding women should stay off ginkgo as it can trigger unwarranted complications. Ginkgo seeds are also not considered safe for children since they are known to induce seizures and can even be fatal in rare pediatric cases. People with bleeding disorders, infertility, diabetes, or history of seizures and those who have scheduled surgery must also exercise precaution when using this herbal medicine. 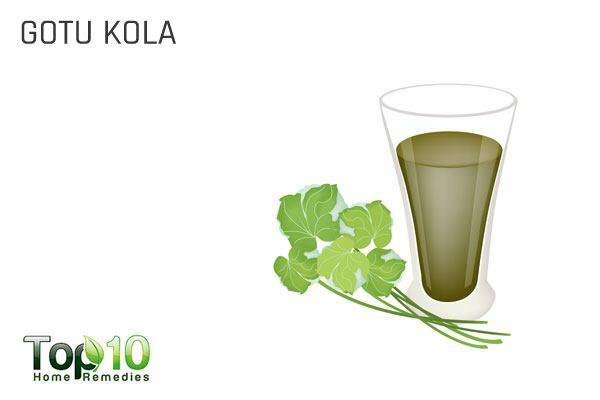 Gotu kola, a popular herb found in Asia, South Africa, and the South Pacific, is high in nutrients that are needed for healthy brain function. 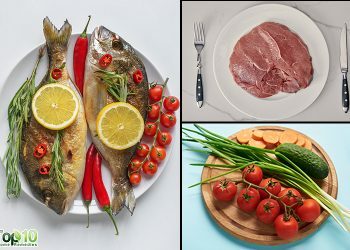 These include vitamin B1, B2, and B6. This herb stimulates blood circulation and works as a brain tonic. It can improve concentration and attention span. The herb can also be used to treat neurodegenerative disorders and to enhance memory. A 2012 study published in Evidence-Based Complementary and Alternative Medicine reports that Gotu kola has neuroprotective properties and can help treat deficits associated with Alzheimer’s disease, Parkinson’s disease, and oxidative stress. In addition to its positive effects on memory and neuroprotective properties, Gotu kola has other health benefits, such as wound-healing and antidiabetic properties. It has even been shown to improve alertness and relieve anger. You can take 500 mg capsules of gotu kola once or twice a day to boost your memory, but consult your doctor before taking any supplements. You can also reap the benefits of this herb in the form of a stimulant tea. Note: Avoid Gotu kola if you are grappling with preexisting liver disease or are planning to undergo surgery in the near future. 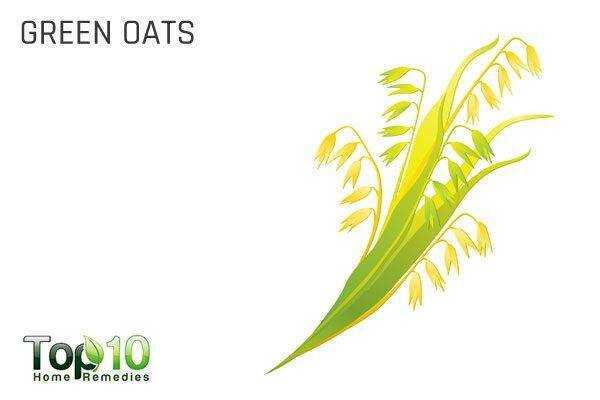 Green oats, also known as Avena sativa or wild oats, is another effective herb for your brain. 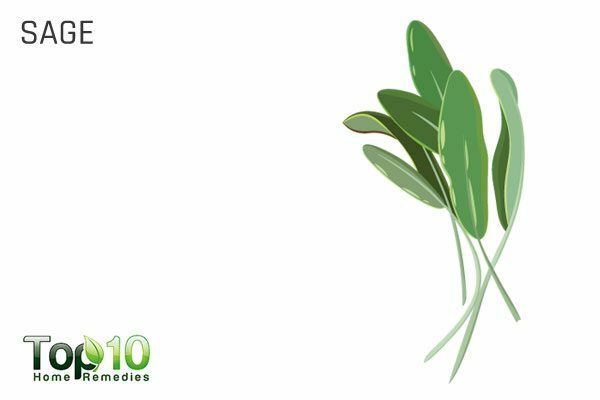 This herb works as a nourishing brain tonic and has a sedative effect on the nervous system. It can also boost attention and concentration. A 2011 study published in the Journal of Alternative and Complementary Medicine reports that oat herb extract had positive effects on improving attention and concentration, along with the ability to maintain task focus, in older adults. A separate study in 2011 published in the same journal revealed that taking Avena sativa can improve cognitive performance. This was evidenced by changes observed in the electroencephalogram (EEG) spectral frequencies in healthy subjects. A 2017 study published in Nutritional Neuroscience found that 800 mg of green-oat extract improved the performance of a delayed word recall task in terms of errors and an executive function task in terms of decreased thinking time and overall completion time. To reap the brain-enhancing potential of green-oat extract without any undue side effects, it is recommended to consult your doctor for the optimal dosage. Regular consumption of green tea has been credited with positively impacting memory. 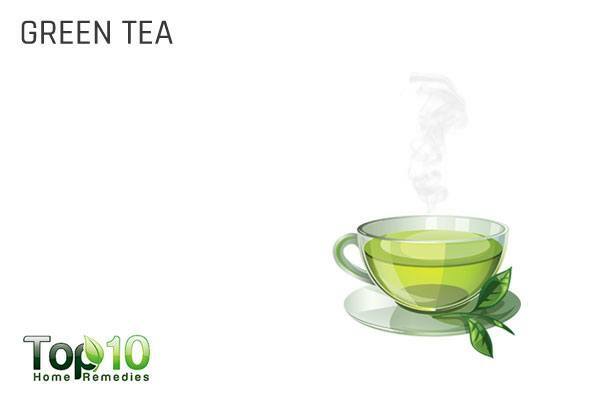 Green tea contains theanine, which has been shown to exhibit neuroprotective effects to redress brain tissue injury. Theanine has also been shown effective as a healing aid for treating certain psychiatric disorders, including anxiety disorders, obsessive-compulsive disorder, and bipolar disorder. The antioxidant nature of green tea helps to support healthy blood vessels in the brain so that it functions properly. Also, green tea stops plaque growth in the brain that is related to Alzheimer’s and Parkinson’s diseases, the two most common neurodegenerative disorders. The polyphenols in green tea help to protect the aging brain and reduce the incidence of dementia, Alzheimer’s disease, and Parkinson’s disease. Drink 2 to 3 cups of green tea daily to keep your brain sharp for years. Note: Green tea is possibly unsafe when taken by mouth long term or in high doses. It can cause side effects because of the caffeine. Take green tea with precaution if you have bleeding problems, anemia, heart conditions, diabetes, diarrhea, glaucoma, high blood pressure, irritable bowel syndrome, or liver disease. To that end, you would do well to get a doctor’s consultation before you start with this herb. 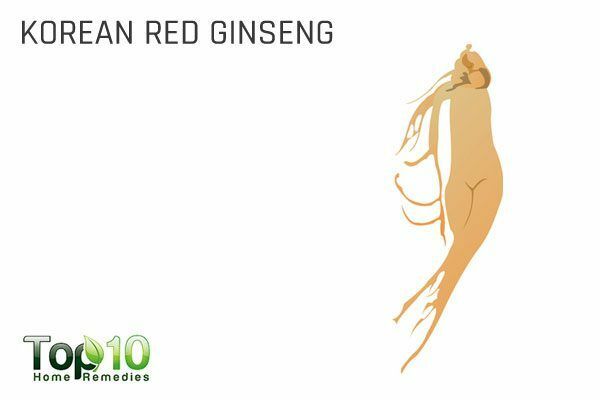 There are different types of ginseng, but it is the Korean red ginseng that is most commonly associated with memory-boosting properties. This herb plays a key role in improving spatial memory through the activation of neuronal activity in the hippocampus. It also protects nerve cells from beta-amyloid and other toxins. Being an adaptogen, this herb is also very beneficial in preventing dementia. Studies have shown positive results with using Korean red ginseng in helping to improve the attention span of children with ADHD, although it remains uncertain if the ingredient works to mitigate the general severity of ADHD as well. Moreover, this therapeutic herb may even have a beneficial role in reducing abnormal behaviors related to autism. The exact mechanism behind Korean red ginseng’s positive effect on cognitive function remains quite obscure and unconfirmed, warranting the need for further studies to conclusively establish the clinical efficacy of this herb. Sage has been used in traditional medicine for years to improve memory. Its essential oil contains active ingredients including cineole and thujone, which provide brain-boosting properties. Sage extract interacts with the muscarinic and nicotinic cholinergic systems which are involved in memory retention. Also, sage leaves contain flavones, flavonoid glycosides, niacin, tannic acid, and oleic acid, which are good for the brain. This herb can help improve concentration and increase mental alertness and attention span. In a 2014 literature review, it was discovered that sage improved cognitive performance both in healthy people and in those with dementia or other cognitive impairment. It was also noted that sage is safe to use for this purpose. To boost your brainpower, drink sage tea and include sage in your soups, stews, and salad dressings. Note: Pregnant and breastfeeding women are advised to restrict their consumption of sage to food amounts. 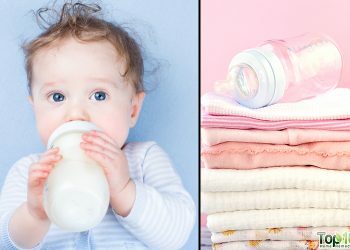 Anything higher than that can trigger unnecessary complications and might even jeopardize the health of the mother and baby. Use sage with precaution if you are suffering from diabetes, hormone-sensitive conditions, high or low blood pressure, and seizure disorders and if you have scheduled surgery. Moreover, long-term consumption of high doses of sage is strictly prohibited as it can damage your liver and nervous system to a considerable degree. Holy basil, also known as Ocimum tenuiflorum, is considered an adaptogen, which makes it a brain-boosting herb. It helps your body adapt to stress and promotes mental balance. In fact, there is evidence to suggest that holy basil has positive effects on memory and cognitive function, as well as anti-depressant properties. It was also discovered that holy basil can even protect organs and tissues against stress caused by chemicals and physical stress from prolonged physical exertion, ischemia, and excessive noise, or exposure to cold. 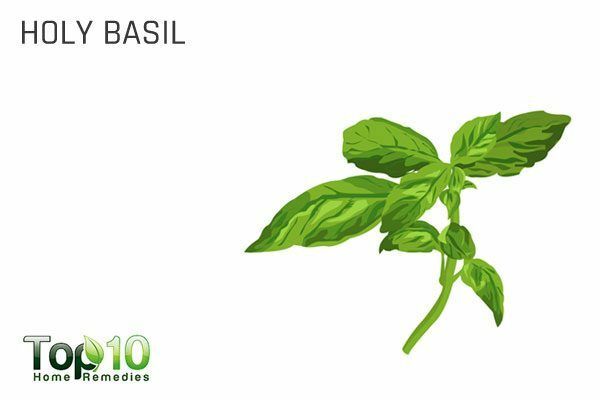 Drink a cup of basil tea daily to improve memory. You can also chew fresh basil leaves or use basil oil in aromatherapy to enhance memory and concentration. Not to take away from the brain-enhancing promise of these herbal remedies, but it is essential to use them as adjunctive aids to further improve the outcomes of standard treatment strategies. Herbs alone are grossly inadequate in treating or even managing various conditions pertaining to brain health and function. Neurological deficits and malfunctioning, if not tended to properly with appropriate medical care, can spiral into aggressive and debilitating forms of diseases. It will be a complete and utter misjudgment on your part to take them lightly, even if the symptoms are relatively mild at present. 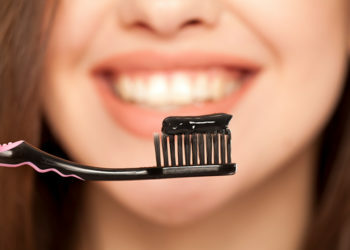 Lapses in short-term memory, inability to concentrate, erratic mood swings, and other signs that would suggest that your mental health is failing might result from drug abuse, excessive alcohol intake, lack of sleep, stress, depression, overwork, prescription medications, stroke, nutritional deficiency, or head injuries. If you feel that your brain is unable to keep up with the daily demands, seek professional help to rule out any possible cause of serious concern. While the above-mentioned herbs carry scientific backing as far as their neuroprotective benefits go, they can be effective only to the extent of complementary healing rather than as substitutes for standard treatment. Even though these remedies are all-natural, self-medicating with herbal supplements is a strict no. If you plan on using these brain-building herbs medicinally, trust your doctor to apprise you of the correct dosage and possible side effects. 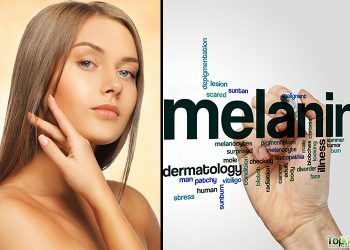 Given that these natural acids can interfere with certain medicines and can be deleterious in some cases, a little precaution never hurt anyone. It is imperative that you stick to the doctor-stipulated dosage to avoid future health complications and report to him/her the minute you suspect an adverse reaction. Elufioye TO, Berida TI, Habtemariam S. Plants-Derived Neuroprotective Agents: Cutting the Cycle of Cell Death through Multiple Mechanisms. Evidence-Based Complementary and Alternative Medicine. https://www.hindawi.com/journals/ecam/2017/3574012/abs/. Published August 22, 2017. Habtemariam S. The Therapeutic Potential of Rosemary (Rosmarinus officinalis) Diterpenes for Alzheimer’s Disease. Evidence-based complementary and alternative medicine: eCAM. https://www.ncbi.nlm.nih.gov/pmc/articles/PMC4749867/. Published 2016. Moss M, Cook J, Wesnes K, Duckett P. Aromas of rosemary and lavender essential oils differentially affect cognition and mood in healthy adults. The International journal of neuroscience. https://www.ncbi.nlm.nih.gov/pubmed/12690999. Published January 2003. Moss M, Oliver L. Plasma 1,8-cineole correlates with cognitive performance following exposure to rosemary essential oil aroma. Therapeutic Advances in Psychopharmacology. https://journals.sagepub.com/doi/abs/10.1177/2045125312436573. Published February 24, 2012. Pingali U, Pilli R, Fatima N. Effect of standardized aqueous extract of Withania somnifera on tests of cognitive and psychomotor performance in healthy human participants. Pharmacognosy research. https://www.ncbi.nlm.nih.gov/pubmed/24497737. Published 2014. Jayaprakasam B, Padmanabhan K, Nair MG. Withanolides in Withania somnifera Fruit Protect PC-12 Cells from beta-Amyloid Responsible for Alzheimer’s Disease. Phytotherapy Research. https://www.researchgate.net/publication/40444332. Published November 2009. Choudhary D, Bhattacharyya S, Bose S. Efficacy and Safety of Ashwagandha (Withania somnifera (L.) Dunal) Root Extract in Improving Memory and Cognitive Functions. Journal of dietary supplements. https://www.ncbi.nlm.nih.gov/pubmed/28471731. Published November 2, 2017. Kuboyama T, Tohda C, Komatsu K. Neuritic regeneration and synaptic reconstruction induced by withanolide A. British journal of pharmacology. https://www.ncbi.nlm.nih.gov/pubmed/15711595. Published April 2005. Calabrese C, Gregory WL, Leo M, Kraemer D, Bone K, Oken B. Effects of a standardized Bacopa monnieri extract on cognitive performance, anxiety, and depression in the elderly: a randomized, double-blind, placebo-controlled trial. Journal of alternative and complementary medicine (New York, N.Y.). https://www.ncbi.nlm.nih.gov/pubmed/18611150. Published July 2008. Mathur D, Goyal K, Koul V, Anand A. The Molecular Links of Re-Emerging Therapy: A Review of Evidence of Brahmi (Bacopa monniera). Frontiers in pharmacology. https://www.ncbi.nlm.nih.gov/pubmed/26973531. Published March 4, 2016. Peth-Nui T, Wattanathorn J, Muchimapura S, et al. Effects of 12-Week Bacopa monnieri Consumption on Attention, Cognitive Processing, Working Memory, and Functions of Both Cholinergic and Monoaminergic Systems in Healthy Elderly Volunteers. Evidence-based complementary and alternative medicine: eCAM. https://www.ncbi.nlm.nih.gov/pmc/articles/PMC3537209/. Published 2012. Sakatani K, Tanida M, Hirao N, Takemura N. Ginkobiloba extract improves working memory performance in middle-aged women: the role of asymmetry of prefrontal cortex activity during a working memory task. Advances in experimental medicine and biology. https://www.ncbi.nlm.nih.gov/pubmed/24729246. Published 2014. Kaur S, Sharma N, Nehru B. Anti-inflammatory effects of Ginkgo biloba extract against trimethyltin-induced hippocampal neuronal injury. Inflammopharmacology. https://link.springer.com/article/10.1007/s10787-017-0396-2. Published September 16, 2017. Mohanta TK, Tamboli Y, Zubaidha PK. 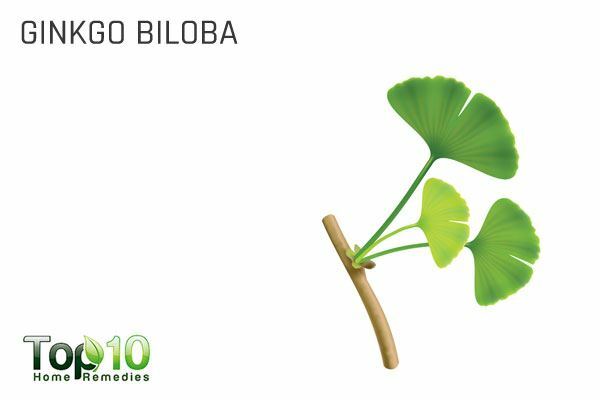 Phytochemical and medicinal importance of Ginkgo biloba L. Natural product research. https://www.ncbi.nlm.nih.gov/pubmed/24499319. Published 2014. Soumyanath A, Zhong Y-P, Henson E, et al. Centella Asiatica Extract Improves Behavioral Deficits in a Mouse Model of Alzheimer’s Disease: Investigation of a Possible Mechanism of Action. International Journal of Alzheimer’s disease. https://www.ncbi.nlm.nih.gov/pmc/articles/PMC3296229/. Published 2012. Ahn J, Ahn HS, Cheong JH, Dela Peña I. Natural Product-Derived Treatments for Attention-Deficit/Hyperactivity Disorder: Safety, Efficacy, and Therapeutic Potential of Combination Therapy. Neural Plasticity. https://www.ncbi.nlm.nih.gov/pmc/articles/PMC4757677/. Published 2016. Orhan IE. Centella Asiatica (L.) Urban: From Traditional Medicine to Modern Medicine with Neuroprotective Potential. Evidence-Based Complementary and Alternative Medicine. https://www.hindawi.com/journals/ecam/2012/946259/abs/. Published May 14, 2012. Somboonwong J, Kankaisre M, Tantisira B, Tantisira MH. Wound healing activities of different extracts of Centella Asiatica in the incision and burn wound models: an experimental animal study. BMC complementary and alternative medicine. https://www.ncbi.nlm.nih.gov/pmc/articles/PMC3492213/. Published July 20, 2012. Puttarak P, Dilokthornsakul P, Saokaew S, et al. Effects of Centella Asiatica (L.) Urb. on cognitive function and mood-related outcomes: A Systematic Review and Meta-analysis. Scientific reports. https://www.ncbi.nlm.nih.gov/pubmed/28878245. Published September 6, 2017. Berry NM, Robinson MJ, Bryan J, Buckley JD, Murphy KJ, Howe PRC. Acute effects of an Avena sativa herb extract on responses to the Stroop Color-Word test. Journal of alternative and complementary medicine (New York, N.Y.). https://www.ncbi.nlm.nih.gov/pubmed/21711204. Published July 2011. Dimpfel W, Storni C, Verbruggen M. Ingested oat herb extract (Avena sativa) changes EEG spectral frequencies in healthy subjects. Journal of alternative and complementary medicine (New York, N.Y.). https://www.ncbi.nlm.nih.gov/pubmed/21563962. Published May 2011. Kennedy DO, Jackson PA, Forster J, et al. Acute effects of a wild green-oat (Avena sativa) extract on cognitive function in middle-aged adults: A double-blind, placebo-controlled, within-subjects trial. Nutritional Neuroscience. https://www.ncbi.nlm.nih.gov/pubmed/26618715. Published February 2017. Lardner AL. Neurobiological effects of the green tea constituent theanine and its potential role in the treatment of psychiatric and neurodegenerative disorders. Nutritional Neuroscience. https://www.ncbi.nlm.nih.gov/pubmed/23883567. Published July 2014. Mandel SA, Amit T, Weinreb O, Youdim MBH. Understanding the broad-spectrum neuroprotective action profile of green tea polyphenols in aging and neurodegenerative diseases. Journal of Alzheimer’s disease: JAD. https://www.ncbi.nlm.nih.gov/pubmed/21368374. Published 2011. Heo J-H, Lee S-T, Oh MJ, et al. Improvement of cognitive deficit in Alzheimer’s disease patients by long term treatment with Korean red ginseng. Journal of ginseng research. https://www.ncbi.nlm.nih.gov/pmc/articles/PMC3659550/. Published November 2011. Gonzales ELT, Jang J-H, Mabunga DFN, et al. Supplementation of Korean Red Ginseng improves behavior deviations in animal models of autism. Food & nutrition research. https://www.ncbi.nlm.nih.gov/pubmed/26837496. Published February 1, 2016. Tildesley NTJ, Kennedy DO, Perry EK, et al. Salvia lavandulaefolia (Spanish sage) enhances memory in healthy young volunteers. Pharmacology, biochemistry, and behavior. https://www.ncbi.nlm.nih.gov/pubmed/12895685. Published June 2003. Miroddi M, Navarra M, Quattropani MC, Calapai F, Gangemi S, Calapai G. Systematic review of clinical trials assessing pharmacological properties of Salvia species on memory, cognitive impairment, and Alzheimer’s disease. CNS neuroscience & therapeutics. https://www.ncbi.nlm.nih.gov/pubmed/24836739. Published June 2014. I didn’t see anything about how these Herbs or Essential Oils should be used. It’s a very useful to know cheap , local products usely available freely,it’s proposed that mentioned Ayurvedic/ local plants name should be mentioned in local languages so that all can understand from where these r available to save ourselt from costly medicines. It’s very useful.